Not only Laptops that use Booster, it turns out that Android can also use Booster to improve Android performance. 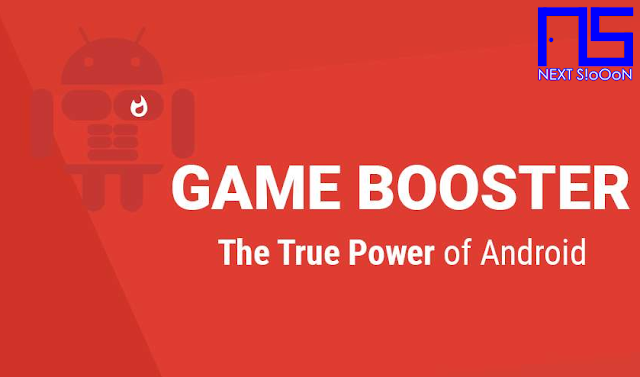 There are many Booster that can be used on Android, starting from RAM Booster, Game Booster, Launcher Booster, and so on. But the benefits are almost the same, namely to improve performance and speed up the performance of Android. The function of Booster itself is to delete various junk files up to emptying RAM so that it can work faster. The Booster application is very useful for Smartphone users with small RAM Capacity. One of the functions of the Android Gadgets now is to play Games, seen in Playstore, lots of quality games and new games are popping up. That's because there are so many Android game enthusiasts that trigger the Developer Game to release the game in the Mobile version. Many people want to feel a lot of games, so they put up many games at once on one Android device. Starting from 2 to 5 games in 1 Android gadget, of course it will drain a lot of Storage Capacity. Besides that, when it is run it will feel slower. To overcome this you can use the RAM Booster Application, this application can stop several applications such as the Chat Application, Social Media, so that Android focus only runs the Game with the best performance. Next is the Laucher and Booster Application, this application serves to delete memory and cache files that are not needed. Various burdensome Junk files will be deleted, useful to speed up loading the Launcher (Desktop Page) so that when opening the Application / Game can be faster. Besides this application is very useful for running heavy games with increased loading and fps. This application is able to improve the performance of your Smartphone or Tablet when gaming. Even the speed reaches double. The performance of this application is to speed up Gaming Speed ​​to 40% because it closes the Task Background automatically. Besides this application serves to send Ping Internet connection to be more stable so that it is smooth when playing games. Unlike Wise Game Boost, it is useful to minimize Overheat and also remove RAM usage capacity so that you can run HD games faster. Another feature is to optimize the performance of Android by deleting files in memory that is not used. In addition, Wise Booster claims that it can save battery usage because it forcibly stops some applications so that the use of battery power is less. Those are some of the most used Booster Applications on an Android Smartphone or Tablet, hopefully it is useful. Thank you for visiting Next Siooon. Keyword: Booster Android, RAM Booster Apk, Game Booster Apk. Game Speed Booster Android, List Game Booster Android, List of RAM Booster Speed Apk Android, Information About Game Booster, Information About RAM Booster Game Booster Launcher Booster Apk Android, How to Use Apk Booster, How to Using Apk Booster Android.